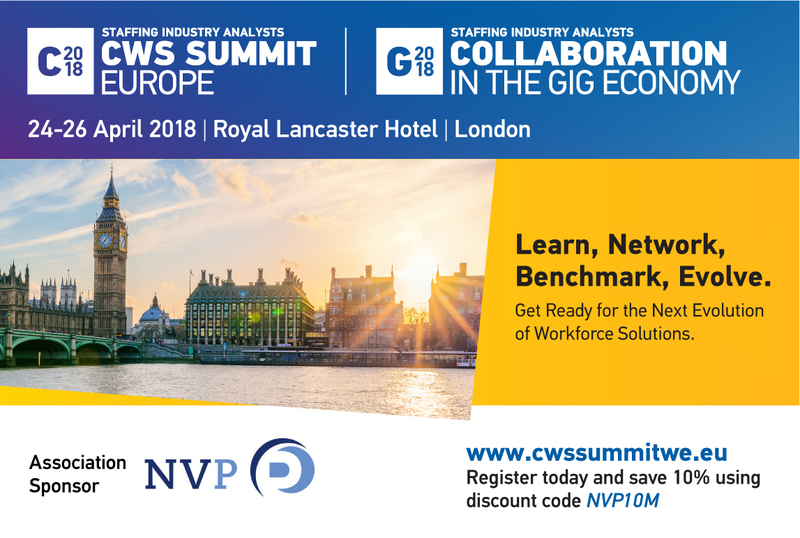 Staffing Industry Analysts' CWS Summit Europe is designed for HR and Procurement professionals who manage contingent labour programmes. We are proud to support this year's CWS Summit Europe and have obtained a 10% discount for our members. The 2018 event features case studies and real-world solutions for the evolving challenges in managing today's workforce solutions programme. Whether your programme is new and in search of tools to get started or mature and needing to evolve to the next level, the Summit offers content for all. The theme for this year's event focusses on "The Intersection of Talent and Technology" with the agenda offering a variety of panel session debates representing all sides of the Workforce Solutions Ecosystem, hands-on workshop case studies focussed on creative solutions to challenging issues, topical roundtables, keynote presentations on technology and the future of work, and breakout tracks designed to help you learn the latest in workforce technology and best practices for creating a talent focussed programme. Please reserve 24-25 April in your calendar now. Register today and receive 10% off with sponsor code NVP10M or contact Fran Jones.